There’s nothing like a hyperbole to get you going in the morning! That’s an example of a hyperbole, which is an exaggeration of an idea for emphasis. 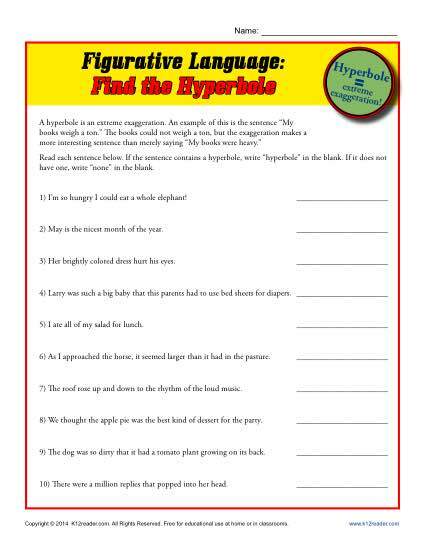 This worksheet features this fun figure of speech and asks your student to tell which sentence has a hyperbole and which does not. While it’s perfect practice for Common Core Standards for Language for middle and high school, other students may also find it helpful.